Anyway, I made and brought these Faux Chicken Nuggets to the picnic as an April Fools' joke. I'm so glad and thankful that my husband lets me try new (and even silly!) recipes. He is also more than happy to be the guinea pig of my newly tested creations. These fooled a lot of people but received praises for the taste, too. I was surprised at how realistic they look! And if you can't use peanuts for some reason, you can substitute a combination of crunchy oatmeal cookies and cheerios instead. Cut cake into 12 slices; cut each slice in half. 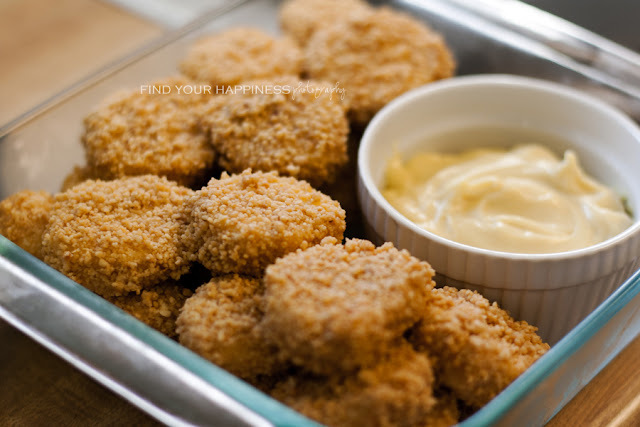 Cut into irregular-nugget shaped pieces; set aside. In a small bowl, combine the confectioners' sugar, water, corn syrup, butter, and vanilla; beat on low speed until sugar in moistened. Beat on high until smooth. Dip cake pieces into glaze, then roll in peanuts. Let stand until set. In a small bowl, combine the sauce ingredients. 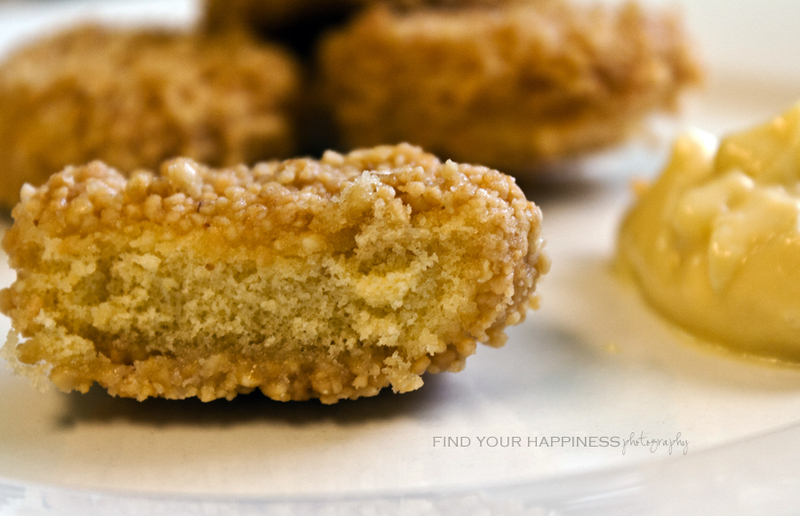 Serve with nuggets. That looks really yummy! Do you want some more yummy yellow, please come and see. Oh yummy! I love this idea! i love nuggets must try the sauce .. thanks for visiting my mym! Your newest follower here! How creative!!! Love this idea!! from the pic i totally thought these were a vegan or soy nugget or something....great job!! Wow they look so real! I may have to make these for my Sweetie & see what he thinks! I'm your newest follower from the Friday Blog Hop!